– This free antivirus solution is different from several others that we had reviewed so far – Microsoft Security Essentials, Avast Antivirus, AVG Antivirus, Avira Antivirus, etc. It operates from the cloud i.e. all the threat related information is stored on their servers (in the cloud) and your computer is scanned for infection against this information in the cloud. Panda Cloud consists of Collective Intelligence servers and these help in freeing up the computer’s system resources, by identifying and processing viruses automatically and quickly, as and when needed. As panda cloud antivirus acts when needed, the developers probably didn’t include a scheduler into it. The big advantage of panda cloud antivirus is its high-level real time protection, by harnessing the knowledge gained through its user community. You must opt in to contribute anonymous threat data to the panda cloud, to take advantage of this automatic threat management. Since most of the work is done in the panda cloud (on their servers), the antivirus software does not store huge virus definition files or heuristics information on your computer, and this significantly improves performance. Being a cloud antivirus, it does require you to be connected to the internet, though it also runs offline using a small cache of well-known threats. 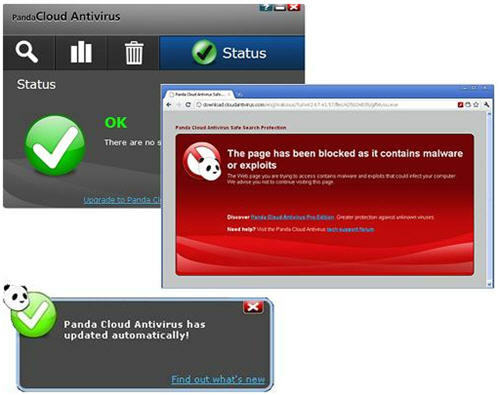 The following are some good features of the free panda cloud antivirus software. 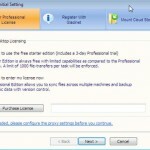 How to activate and use Panda Cloud antivirus? Panda Cloud Antivirus is available as a free and a pro version.The free one offers basic protection and you can activate it without the need for any activation code. At the end of the installation, you just need to click “Activate the basic protection”, to start using the free solution. The pro version will require activation codes and you need to use “Activate the complete protection” option to activate it. In general, the antivirus software doesn’t require you to configure anything. However, if you connect to internet through a proxy server, specify the IP address and port through “Settings” => “Connection”. If needed, you can also configure some advanced settings, though the default settings are good enough. 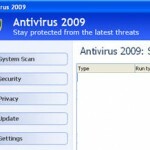 The antivirus software can be used to scan either your entire computer or only the files or folders you select. It can also do an optimized scan i.e. scan the computer folders that usually contain malware, in order to detect and remove threats as soon as possible. During the scan, it automatically neutralizes all known threats and also displays a green strip in the progress bar, for every threat neutralized. If it cannot neutralize any detected threat, it will show an amber strip and when you mouse over it, panda cloud antivirus will show more detailed information and recommendations. Infected files are kept in a recycle bin of its own, for a certain period of time, before it acts on them. However, it is not recommended to recover the infected files, unless you are very sure that they are false positives. Though Microsoft Security Essentials is still the best free antivirus for windows 7, Panda cloud antivirus is definitely a good free virus protection solution for netbooks and computers with low RAM or processing power.Give it a try, if you find the other best free antivirus software to be a hog on your computing resources. Enjoy the free cloud based computer Security. Como BAIXAR, INSTALAR e CONFIGURAR o Panda Free Antivírus, Melhor Antivírus GRATUITO!